This team is developing new techniques and methods that help to understand the complex processes that occur under our cities and towns. We utilise BGS databases and records to produce high-resolution 3D models. With these, we show how a better knowledge of ground conditions, artificial ground, soils, drainage and archaeology can help manage existing and future developments. The geosciences have an important, but often underappreciated part to play in securing sustainable global cities. They can support urban innovation and city performance, reduce our environmental footprint and ensure we are resilient to natural hazards such as flooding and ground instability. This brochure provides information about our urban capability, highlighting case studies, technology and data products, to help provide solutions to city challenges. Project Iceberg aims to address the serious issue of the lack of information about the ground beneath our cities and the un-coordinated way in which the subsurface space is managed. Many cities are developing 'future city' programmes where knowledge dissemination, cooperation, policy reform and urban design run in parallel with big data and smart technologies. We are working with those at the forefront of future cities thinking to ensure that urban geoscience research and data is embedded in this process and the value of the ground beneath cities is realised. The subsurface is used for a wide varieties of activities.As the subsurface is exploited more fully, use of the subsurface start to interact with unintended consequences. Our research explores how our actions may impact the subsurface. 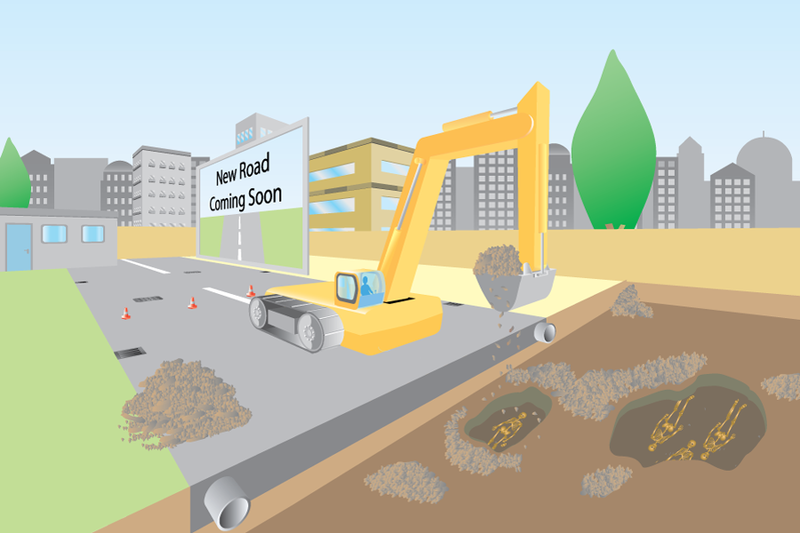 SuDS are drainage solutions that provide an alternative to the direct channelling of surface water through networks of pipes and sewers to nearby watercourses. What issues need to be considered? What information can BGS provide? Humans have had such an impact on the environment that scientists are debating whether we have entered a new geological time Epoch — The Anthropocene. Developing a dynamic geoenvironmental model for the London area to address the 'anomalous' ground conditions of the biggest development programme in the UK for over 50 years. 2D and 3D modelling of ground conditions and natural hazards. Subsurface information is tricky to access unless you know what you are doing and the consequences for getting it wrong can be disastrous. Project Iceberg aims to remedy this situation. Contact Stephanie Bricker for more information.